No time to garden this summer? Try a bit of Fall gardening in more comfortable temperatures. And these projects all give a great return on investment! It’s a great time of year to plant salad greens. You can start an indoor herb garden that will give you fresh herbs all winter to turn an everyday meal into something special. It’s also a great time to get compost going for next spring. Lots of opportunities to make something good happen when you grow something! Even affordable gifts! 1. Grow some herbs indoors. Never buy fresh herbs again! Well, a lot less anyway. Fresh herbs add a lot to recipes in flavor and looks. Try growing some that you use often. You can grow some for gift giving too! It’s an affordable gift that most cooks are very happy to receive. These look nice in small terra cotta pots, but I also like them in colorful coffee cups. If you don’t have any orphan cups to use, the resale shops, like Good Will, have tons of them for very cheap. You do have to drill a drainage hole in each (use a drill bit made for ceramics) because herbs don’t like to have wet feet. Pretty for a windowsill! Click here for tips at Woolly Green to grow herbs indoors. 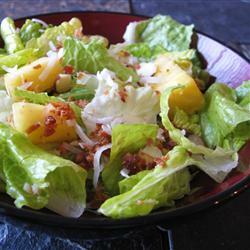 Fall is wonderful weather for growing all sorts of lettuce and fresh greens. Plant seeds every week to keep a supply of fresh greens coming to your table over the next couple of months. Many lettuces are “cut and come again.” Just use a scissors to cut the leaves leaving about an inch left above the ground. They will grow back new leaves for you to enjoy. Almost like free organic salad ingredients! 3. Get some compost going! It’s easy to put any dried plant material into a pile. Layer with grass clippings and you have the start to some great compost. You’ll probably be cleaning up the yard and plantings anyway, just toss it into the compost. By spring you’ll have some rich garden soil to help everything grow that much better! Free high quality soil! 4. 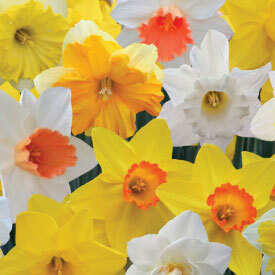 Plant some cheery spring bulbs. Put them anywhere you’d like to see daffodils, tulips, hyacinths, etc. greet you in the spring. Don’t wait until it’s totally freezing out there to start planting! I’ve done it and it’s no fun. If you plant them before it’s freezing they will have a better chance to develop roots before winter. Get yourself a little curved trowel to make this an easy job. Just insert the trowel and push it a little forward to life the dirt a bit. Slip the bulb in the slit with its roots down. Lift the trowel out and press the dirt back down. Done! To get a naturalized look, toss a handful of bulbs and plant them where they land. You have to plant them in the fall to use by next spring and summer. If you can find Elephant Garlic, it regrows itself (via runners) forever–highly unusual for garlic. If you use a lot of garlic in cooking, this could come in handy! Click here for a detailed tutorial at Organic Gardening. on planting garlic. For fall gardening activities by zone (in the US) click here for a good to-do list at Organic Gardening. 6. Fall is a great time to plant a tree. In fact it’s the best time! Trees are on sale and your tree will be well established by spring. Trees add value to a house and provide shade to lower your air conditioning bills. Plant now and watch your investment grow! Click here for more details. Whatever you do now will reap great benefits. You can also get some sunshine (vitamin D) and exercise while working in the garden. It’s great for your psyche too! Click here to learn how playing in the dirt actually makes you feel better. Hi, Susan! It’s easy to start and this time of year you get lots of dried plant material for it. Have fun! My pleasure. Enjoy those fresh herbs and garlic! I think they make a huge difference in my cooking. Thanks for stopping by, Ellen! Thanks Kristen, glad it came at the right time! 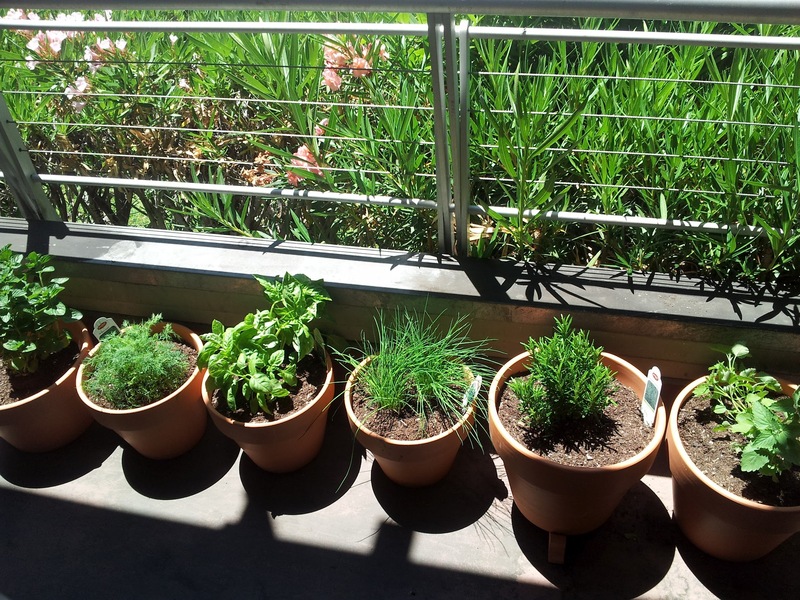 Just growing a few herbs in the kitchen is a great way to start getting a “green thumb.” It’s easy! So sorry that you’ve jumped into winter already, Sicorra. If you get some daffodil bulbs (so cheerful in the spring) & keep them in a cool dry place, you’ll be ready if you get a warm day. If you don’t get weather nice enough to plant them, you can store them in a dry place that is cold as long as it doesn’t get down to freezing. They’ll last until you can plant them next fall that way. I’ve kept them in a refrigerator for a year and they grew just fine. It’s like they are dormant. I just put them in a zip top bag and they were good to go. Corina, I love fall gardening–less sweat! lol Lettuce of all kinds love to grow in the fall when it’s cool and rainy. I hope you do get that kitchen herb garden going–you’ll love it! Great post Maggie! Thanks for sharing it in this week’s I’m Every Woman Weekly issue! Thanks, Donna. Having something green growing all winter just makes a person feel good too! I’ve grown herbs before, but never indoors. I think I’m going to do that, though. I can almost smell how great my kitchen will smell with all those fresh herbs growing in it. 🙂 Great ideas!